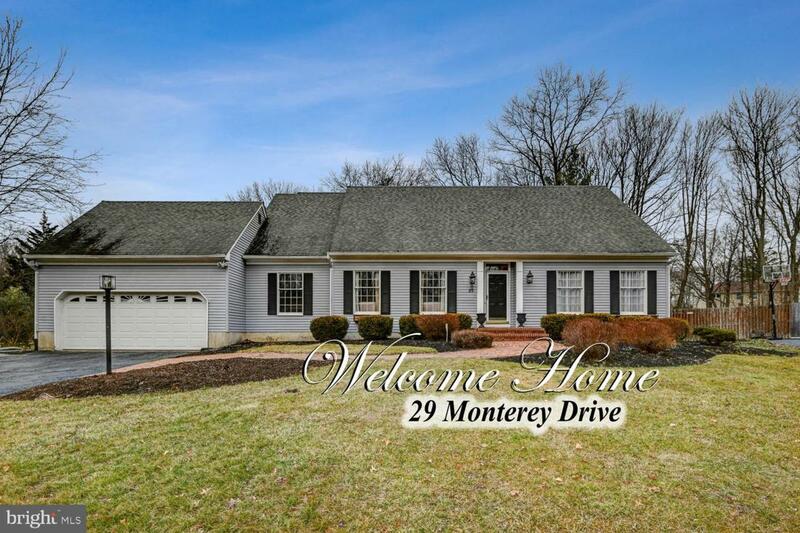 In WALKING DISTANCE TO PRINCETON JCT STATION. 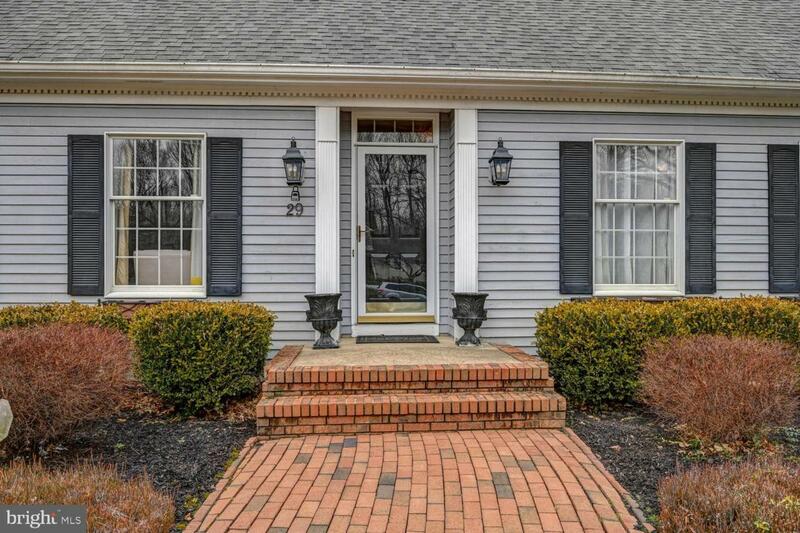 IMPECCABLY kept home with 5 bedrooms 2 full baths and 2 half baths. 2 ZONE HEATING and AC 2010. Plus a full finished basement with 4 walk in closets. It is huge 51 feet by 20 feet. There is a play area, media center area, exercise area and separate area for ping pong table. The amount storage for this house is AMAZING. 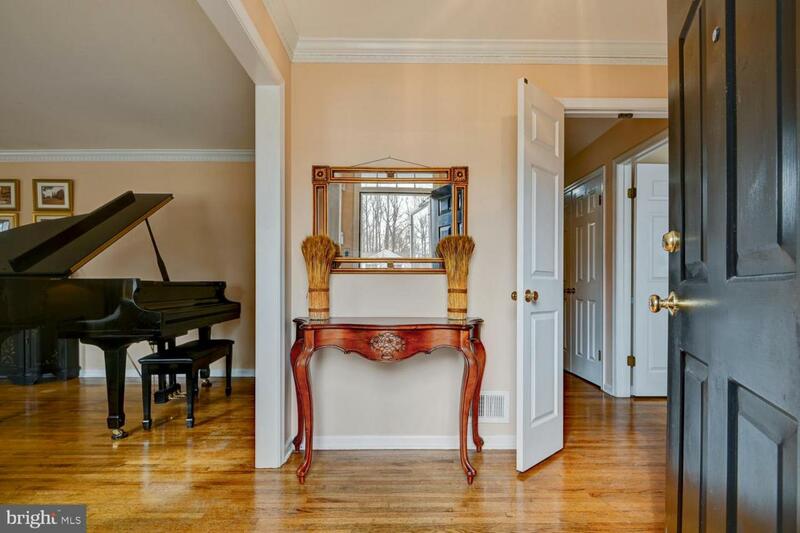 Enter in to the formal living room with hardwood floors and a Baby Grand Piano ( also for sale). 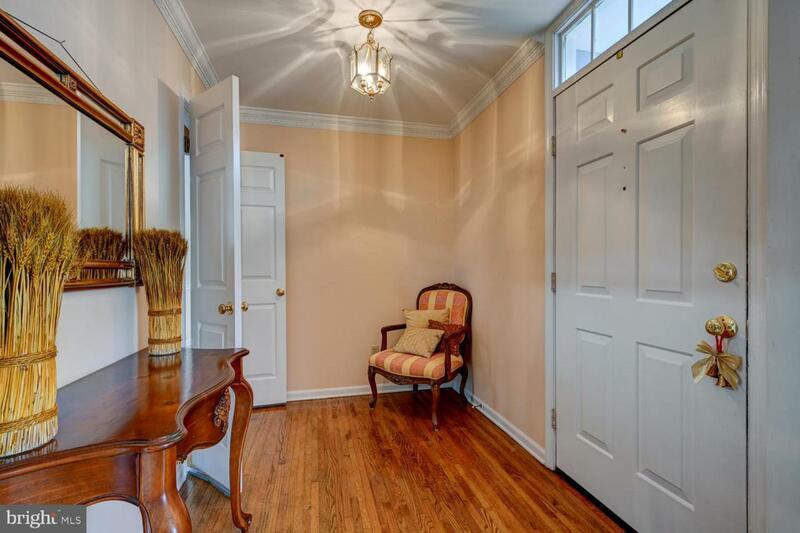 The elegance leads you to the grand formal dining room and then into the kitchen. The kitchen opens to 2 FAMILY ROOMS. One has Anderson all around overlooking the resort area that was created with a inground pool and patio area. The view is breaktaking with all the professional landscaping and privacy all around. Inside is another family room with grand fireplace and hardwood floors. The kitchen has lovely granite and newer appliances. A deep pantry completes this room. The laundry room is off the kitchen and powder room as well. On the other side of the house on the first floor is the master bedroom and full bath as well as a second bedroom and half bath. Upstairs are 4 huge bedrooms with all walk in closets. and 2 full baths. Hardwood floors complete this level. There is also a possible 6th bedroom or office or play room. This room has a full length attic door and leads to a huge storage area and or closet to be used as a 6th bedroom . A new ROOF is 10 years old and FURNACE and AC and WATER HEATER 2010. What an AMAZING HOME!! The basement adds so much living space to this house. 1500 sq. more of living space. There is a huge Cherry bookcase for everything your family needs plus a granite countertop that can be used to do homework, crafts, projects. Remarkable home with great living space. Finished Basement and 2 family rooms and the resort area outside truly make this house a MUST HAVE. COME AND SEE THIS GEM!! All furniture in house is negotiable. Family downsizing.